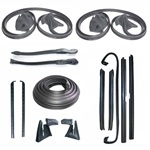 This seventeen (17) piece kit includes the major weatherstrip components needed for your restoration project. 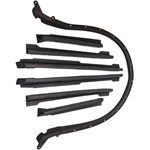 These parts are designed from originals with fully molded corners and end pieces for superior performance and factory fit. 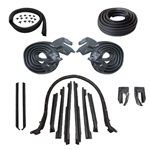 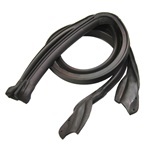 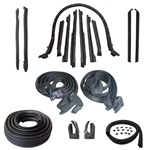 This fifteen (15) piece kit includes the major weatherstrip components needed for your restoration project. These parts are designed from originals with fully molded corners and end pieces for superior performance and factory fit. 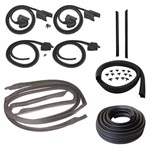 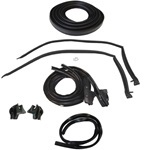 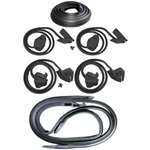 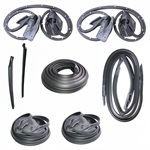 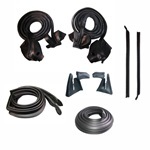 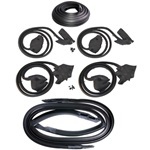 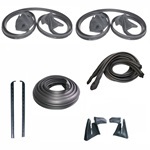 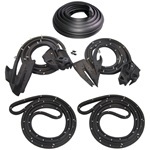 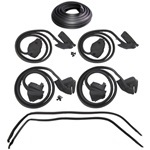 This ten (10) piece kit includes the major weatherstrip components needed for your restoration project. 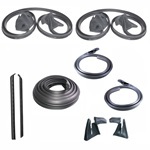 These parts are designed from originals with fully molded corners and end pieces for superior performance and factory fit. 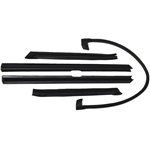 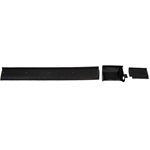 This rear bumper step pad set contains the left, center, and right side step pads in the tailgate opening. 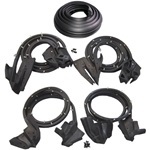 They are fully molded with brass cores and designed from originals with factory style tread. 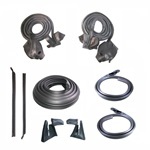 All three pieces have correctly placed screw holes and are ready to install.